Marco Pierre White&apos;s steak restaurant and the four-star Hotel Indigo are set to undergo a £200,000 transformation as both venues begin their fourth year of trading at The Cube. 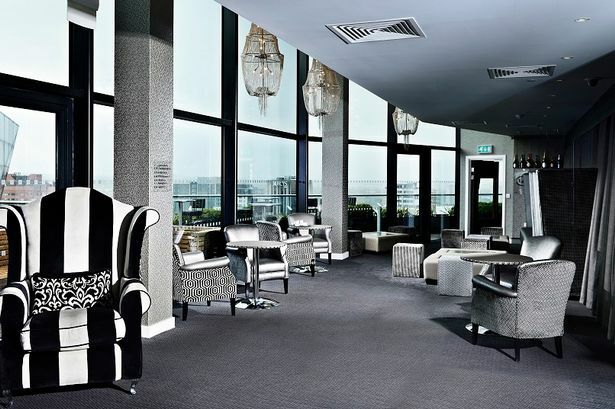 Work in the main bar of the restaurant on level 25 has already begun and will see the introduction of a high viewing bar and replacement of all furniture and carpet to a grey, black and chrome colour scheme. The private dining room will be changed to a black, white and gold colour scheme and will feature new white chandeliers, upholstered dining tables and high back chairs. Hotel Indigo will see lighting and furniture refreshed and replaced in its 52 bedrooms while the hotel&apos;s reception on level seven and its Indigo Lounge on level 25 will also both undergo a refresh. The company has again recruited design company Mr McQueen to lead the project following its work on the new interior of the Laurent-Perrier Champagne Bar at The Cube earlier this year. The interior investment also coincides with the announcement of John Lambourne-Richardson as general manager and Simon Johnson as executive head chef for the restaurant, with a revised menu for the winter season. Mr Lambourne-Richardson said: "Since both the hotel and restaurant opened three years ago, we have fortunately seen an ever increasing number of guests through our doors. "To ensure we continue to offer our guests the standard of luxury our venues are renowned for and keep the look and feel of them up to date, now seemed the ideal time to refresh the look." All work is due to be completed by February 2015.